Watching Artavazd Peleshian’s movies, I had this constant feeling of having seen such films elsewhere. 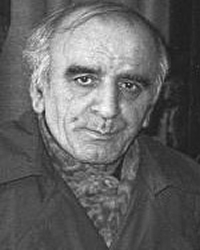 A little deliberation reveals that the extraordinary Jean-Luc Godard compilation History of Cinema (1988-98) is, in fact, closer to the works of this Armenian auteur than anyone else’s. Furthermore, it becomes clear that almost all of Godard’s films made in the past couple of decades, especially the many short films, have a notable influence of Peleshian’s style, although they evidently bear Godard’s signature. With a total runtime of hardly three hours, Peleshian’s filmography may not be as prolific as the French director’s, but it shows such degree of consistency of style and unity of content that it almost feels as if Peleshian had decided beforehand what his résumé would read. I guess Peleshian’s films are what could be truly called film poetry. This is because they completely wallow in ambiguity that is so essential to poetry. By ambiguity, I do not mean that they elude meaning or try to deliberately confuse the viewer, but that their meanings are with the audience. That is to say that each viewer would draw out a different meaning or exhibit varied emotional responses that would solely depend on his/her accumulated experiences and thought processes. One might say that this is true of any film. But with Peleshian’s films, all of these responses hold good to some degree. As Peleshian himself says in his interview with Scott MacDonald (found in the book A Critical Cinema: Part 3): “It’s everything”. I would probably go on talking about Godard’s later works when talking about Peleshian because the similarity here is remarkable. Much like what Godard does with the images from Ivan the Terrible: Part 2 (1958), Angels of Sin (1943) and many of his own films, Peleshian reuses and recycles a number of familiar images and sounds throughout his filmography. And likewise, each of these instances elicits a different meaning every time they occur. Peleshian seems to believe that photography is indeed truth, but alters its frame rate to underscore, enhance and provide meaning. It is as if the director is holding a photograph of stellar importance in his hand, commenting on it, animating and then stopping it, whenever required, to emphasize what he has said, going back to tell us more using the same photograph and, in essence, writing an essay using prefabricated sentences. Only that there is no text or speech as in Godard’s films. In fact, there is not a single word spoken in any of Peleshian’s films, highlighting the deliberately universal nature of his cinema. That is because people, beings to be precise, have always been at the center of Peleshian’s films. Peleshian seems to see humans as a monolithic entity whose ambitions, idiosyncrasies, struggles and emotions, although particularized by history, (to kill a cliché) transcend geographical and ethnological barriers. Peleshian calls his technique “Distance Montage”, of which, I must admit, I could not make head or tail of, despite the director’s numerous attempts to clarify himself in the interview. But one thing that is clear from his films about his style is that it provides totality to them. That is, what the viewer takes away from the film is the whole and not any fragment or any individual aspect of it. Although certain images and sounds repeat themselves throughout the film, their order and composition are designed to evoke different responses depending on the context. As a matter of fact, without any impact on the individual films, all of Peleshian’s movies could be combined seamlessly into an indexed anthology that produces the same effect as its constituents, for the director’s style is too consistent to make any film seem out of place. Peleshian places the audience always at a distance, giving them an omniscient eye that concerns itself the whole of humanity instead of making them care about individual subjects and their petty objectives and aspirations. Perhaps this is why there are no “characters” in any of Peleshian’s films. It is quite impossible to distinguish between the archival footage and fabricated shots that Peleshian uses since none of these images show any trace of a motive to create a fictional world. The characters, for Peleshian, are already written and exist all around us, merely waiting to be read. Earth of People (Mardkants Yerkire, 1966) is the second student film that Peleshian made while studying at the prestigious VGIK institute and already, it shows the author’s stamp. Early on we are shown images of massive man made structures – bridges, railroads and skyscrapers. As the twisted title starts to make meaning, Peleshian starts showing us human hands, humans at work and the world being constructed by humans. We see people from every profession – doctors, engineers, workers and scientists – carrying on with their routine robotically as the soundtrack suddenly stops giving us conventional score and starts gathering the most bizarre of mechanical sounds. But soon, the optimistic tone of the film gives way to distrust and we realize that we aren’t exactly masters of this world. We see these people are, in fact, trapped within their own creations (which strangely reminds us of 2001: A Space Odyssey (1968)), which gradually takes us back to the title: Whose world is this? No wonder the film opens and closes with the image of a thinker’s statue. 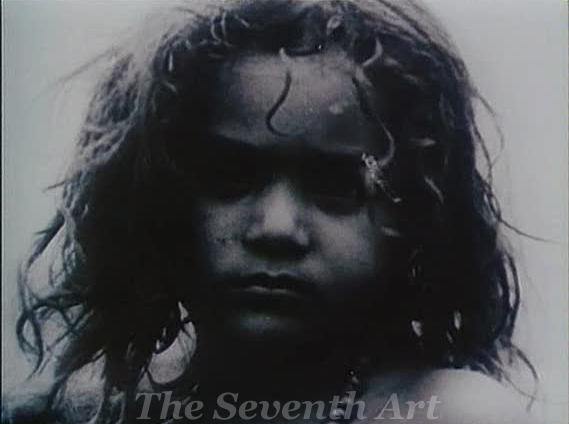 Peleshian’s film is symmetrical, as would be his later works, with both the soundtrack and imagery getting reflected along the centre of the film. Although Peleshian’s style already shows maturity in Earth of People, his official filmography begins with, well, Beginning (Skizbe, 1967). Chronicling the historical events that changed the course of the century following the monumental October Revolution of 1917, Beginning is a powerhouse trip that would definitely rank among the best political films ever made. Running for a mere 10 minute span, Beginning exemplifies Peleshian’s preoccupation with mass movement like no other film. Employing an eclectic mixture of photographs, studio shots and documentary footage, manipulating their speed, repeating them regularly and eventually attaining a musical rhythm like the Soviet pioneers’, Peleshian emphatically registers our recent history that has been marked by an extraordinary number of uprisings and bloodsheds. Peleshian’s soundtrack is remarkable here. Using a combination of highway chase music, gunshots, screams and silence, Beginning shifts gears from a documentary, to an agitprop, to an essay and to an epic in no time. 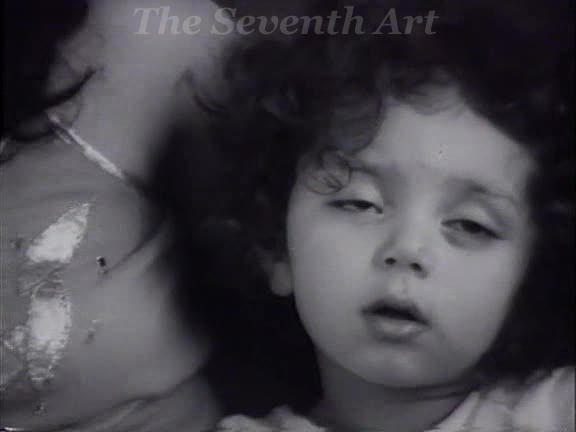 But the true revelation is the ending of Beginning where, after a brief visual and aural pause, Peleshian delivers a moment of epiphany, once again reminiscent of 2001 – an extended close up of a young child staring determinedly into the camera as the soundtrack plays a majestic, Thus Spake Zarathustra like score. Forget the Star Child, what is the human child going to see in the future? Sheep and mountains have almost become Armenian identities of sorts, thanks to the films of Sergei Paradjanov. We (Menq, 1969), which begins and ends with the image of a gargantuan mountain, is perhaps the most “Armenian” of all Peleshian movies. We are shown images of mountains falling apart before being cut to a large funeral procession. 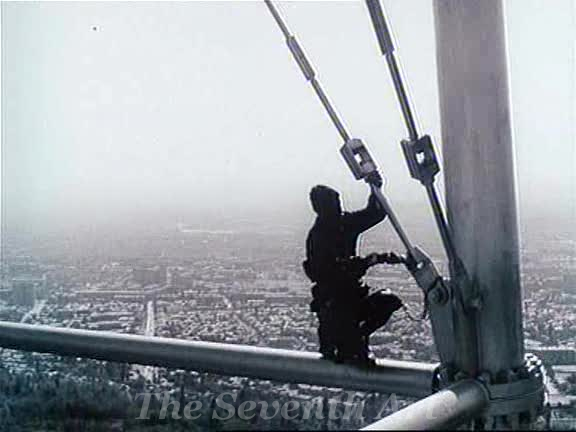 This is followed by visuals of common people carrying on with their everyday work, – some utterly mundane, some shockingly risky – as if proving the adage “Life must go on”. For the first time, religion, which was a major reason for the Armenian Genocide, makes its presence felt in a Peleshian film. It isn’t just personal disappointments that these people seem to putting behind them, but shattering national tragedies, despite (and perhaps because of) which their faith stands affirmed – in religion, in life. The last third of the film acts as a meeting point and the resolution for these two types of calamities as we are presented visuals of reunions of families (and of people who seem to be returning from an exile). More than anything We feels like an ode to the resilience of, in particular, the Armenian people (although Peleshian himself denies this! ), who have had to put up with a lot through the centuries and, in general, the spirit of everyday heroes. If at all anything can be made of Peleshian’s attitude here, it must be his unassailable faith on the ability of humanity to survive no matter how difficult it makes it for itself. In contrast to the unusually large number of people in the Beginning and We, Inhabitants (Obitateli, 1970) is almost completely devoid of humans. Peleshian attributes this peculiar absence, quite strangely, to his audience being critical of him for We. Filled with shots of large-scale migrations and stampedes (with, surprisingly, even helicopter shots being present in the film), Inhabitants merely alludes to the presence of the human beings, in the form of a few silhouettes, who seem to be the central cause of panic. Shot in widescreen, Inhabitants, for most part, depicts wildlife, in panic. At first glance, with the anti-mankind tone of the movie, Inhabitants seems to take Peleshian back to the arguably cynical mode of Beginning. But once you begin to see that the humans in the film aren’t exactly humans but far from it, Peleshian’s faith in humanity comes to surface. Surely, the animals are just a normalized form of the people of We, of Beginning and of Earth of People. But the relevant question is whether Inhabitants is connected to the Armenian history directly or not. 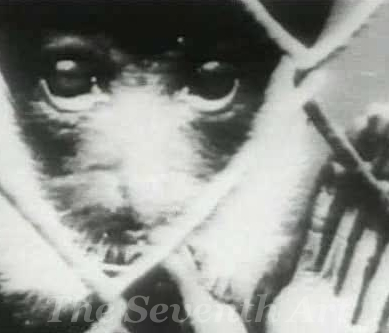 With the visuals showing us exoduses and captive animals and the soundtrack including gunshots and screams, it is not unfair for one to be reminded once more of the nation’s plight. Whatever the case, the film resonates with quintessentially Peleshian themes – of change, of resilience and of survival. The Seasons (Vremana Goda, 1975) is perhaps the most famous of all Peleshian films and just its opening shot would show why – A man, clutching a sheep in his hand, trapped in a raging stream, trying to get to the shore along with the animal. Setting the tone of film and, to an extent, to the director’s whole filmography, The Seasons’ first shot effectively underlines the irony that forms the basis of the relationship between humans and nature. The Seasons, as the title suggests, deals with the change of seasons. In the first section Peleshian presents us images from sunny day in an idyllic pastoral life, where a family of herdsmen lead their sheep through a dark tunnel and then to light. 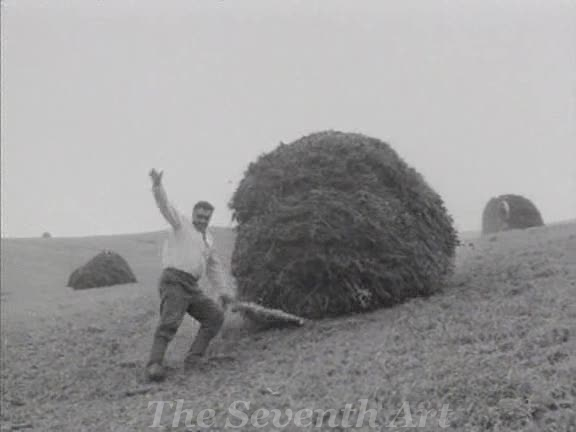 We then see a group of young men dragging huge stacks of hay down a hill slope and then trying to stop it. This scene, once more, illustrates our can’t-live-with-can’t-without relationship with nature, but never once becoming a contrived symbol or a metaphor. It is merely a glimpse of life which reveals a fact rather than expressing it. The same would be true of the sequence that is to follow, where the herdsmen risk their own lives in order to salvage their herd that is caught in the rapids. The film then shifts to an ethno-documentary mode as we witness a marriage ceremony in which a cow forms as much an integral part as the bride and the groom. In a rather prolonged scene that follows, in what looks like an amusing sport, we are shown a few men, each holding a sheep in his hand, sliding down a snowy hill, refusing to let go of the animal – A practice that is as strange as man’s kinship with nature – living with it, living against it, living despite it, living for it and living because of it. What followed remains Peleshian’s longest film to date, the 50-minute feature Our Century (Mer Dare, 1983). Our Century concerns itself with some cosmonauts (and astronauts) preparing themselves for a space flight. Peleshian constructs the film around this event, quite predictably, exploring his themes through a complex editing system coupled with an equally complex soundtrack. Initially, Peleshian crosscuts between the footage of the activities at a space station, minutes before the launch of a shuttle, and a celebratory procession where the space-heroes are cheered and applauded by the mass. 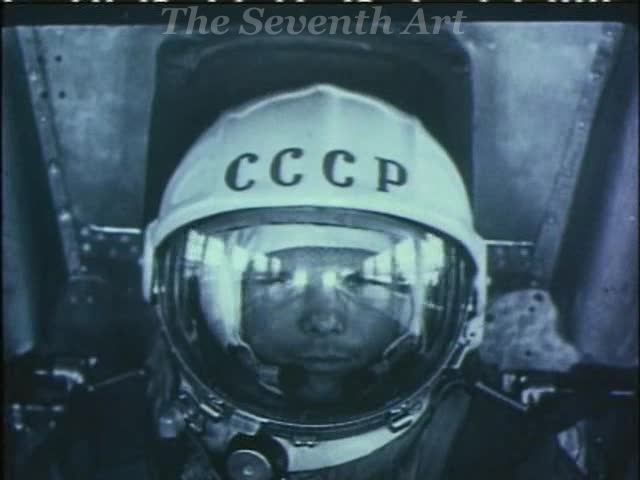 Peleshian frequently presents clips that show the immense stress that the cosmonauts are put under, during the test phase and in space, It is a period of sheer loneliness, physical and mental fatigue and, yet, of excitement and ambitiousness. He then goes on to depict man’s obsession with flight and, in general, his desire to conquer the various elements of nature, where he shows a number of bizarre experiments in aviation, most of which end unsuccessfully. As ever, individual turmoil gives way to and unifies with national tragedies to the point beyond which there is no difference between a nuclear explosion, a rocket launch and the human heartbeat. Our Century arguably presents Peleshian at the top of his game, converting both the form and content of the film into a highly personal mode of expression. In no other Peleshian film has the ecstasy over human achievement mingled with the agony of existence in such an intricate fashion. The point is not the establishment of a simple irony, but of an exploration of what makes humanity go on, against all odds. There is some confusion regarding the order of release of the last two Peleshian films. The official Paradjanov site, however, suggests that it is, in fact, Life (Kyanq, 1993) that is the director’s penultimate film thus far. Peleshian uses colour film for the first time, perhaps to enhance the already optimistic tone of the film, and makes his shortest film till date. Running for a mere seven minute time span, Peleshian, for most part of the film, presents us extreme close-ups of a woman delivering a baby. Probably the most moving Peleshian film, Life is also the most overt manifestation of the ever-present Peleshian-ian conversation between human pain and ecstasy in his films. The soundtrack is comparatively simpler here, with only two audible layers – an evocative opera piece and an amplified track of the human heartbeat. Naturally reminiscent of that staggering Stan Brakhage work, Window Water Baby Moving (1962), Life is an equally personal (although far easier to watch), emotionally exhausting and visually stunning piece of film that has the power to dispel any trace of pessimism that anyone may have about humanity. 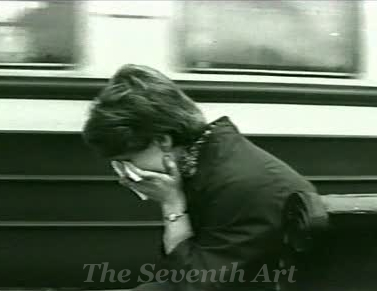 The film ends on a freeze frame showing a mother and her young child looking towards the camera and, possibly, a bright future. Although Life would have made an astounding end to a solid filmography, it is End (Verj, 1994) that provides a more rounded closure to it. End is a series of shots inside a speeding train, the passengers of which are of diverse age groups, ethnicities and emotional statuses. The train itself feels like a microcosm of the whole world, each of whose inhabitants is moving towards an individual destination but the totality of them going in the same direction. End is perhaps the kind of vision that Damiel (Bruno Ganz) saw in the train in Berlin in Wings of Desire (1987), considering the voyeuristic nature of the camerawork in this film. There are also a few outdoor shots, of mountains (again) and of the sun, that punctuate End. If Life’s ending shot seemed to seal Peleshian’s faith in humanity, the closing shot of End brings back the lifelong dialectic between cynicism and optimism that has so consistently characterized Peleshian’s work. We see the train, after a very long passage through the darkness of the tunnels, suddenly plunging into blinding light. Before it is revealed to us what lies beyond, the end credits roll. Is it a man-made apocalypse foreseen by Earth of People? Is it the Great Armenian Earthquake? Or is it the ultimate redemption for humanity that Life suggests? Looking back at Peleshian’s body of work, it is probably the latter.